The perfect solution for curved columns, arches, cabinetry and furniture in residential or commercial settings … anywhere a departure from a straight edge is desired. 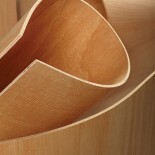 Add a new dimension to your wood projects with Columbia Radius Bending Plywood. This amazingly flexible board will shape to almost any curved contour. 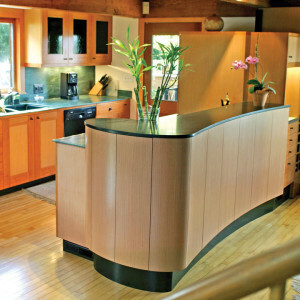 Its ability to flex in long-grain or cross-grain directions makes it a versatile panel for complex designs. Learn more about this product.